A group of residents spent their Saturday morning picking up garbage along the shoreline as part of the Great Canadian Shoreline Cleanup. Oct. 26, 2016 9:00 a.m.
A group of Prince Rupert residents spent their Saturday morning picking up garbage along the shoreline as part of the Great Canadian Shoreline Cleanup. The groups split up, with some working along the Rushbrook shore and others taking to the Hays Creek Trail. Caitlin Birdsall, who organized the event, said it’s important to remove debris from Rupert’s shorelines to make them healthier and safer for the species that live in the ocean, but also because it helps build awareness. “One thing the participants are doing today is not only picking up garbage but also collecting data on what’s out there and I think that helps familiarize people with what kind of debris there is in our community and also helps them feel empowered to do something about it,” she said. The Great Canadian Shoreline Cleanup is an initiative jointly led by the Vancouver Aquarium and World Wildlife Fund designed to take action against shoreline litter. Since 2003, over 400,000 participants from coast to coast have removed nearly one million kilos of garbage from our shorelines. The cleanup day is important to volunteers as well. Almudena Miles said she participates because she’d like to see the city stay nice and clean. “It looks better, it’s more healthy looking and it keeps everything clean,” she said after finishing her first site and asking Birdsall if there was more she could do. The act of residents coming together for this initiative really brings out the heart of the community to her. “It’s nice to see everybody out and helping with picking up the garbage. It’s really nice to be a part of a community that participates in something like this,” said Miles. There was another shoreline cleanup at the industrial park by the Tidal Transport offices on Oct. 14 with the Port of Prince Rupert and 26 students from Prince Rupert Middle School. 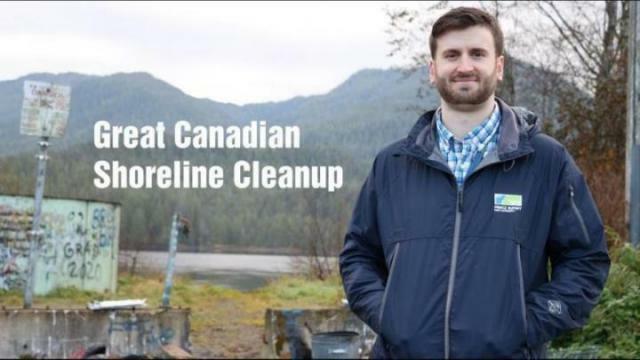 “We chose this site because we came down and noticed a lot of waste deposited here,” said Adam Simons, the environmental technician for the port. During the cleanup they found fish waste, shopping carts and wood products. For the shoreline cleanup on Saturday, there were many interesting and somewhat baffling items found, including several car parts and an old shopping cart. Although there is only one official cleanup a year, Birdsall said anybody can lead a cleanup day if they wanted to. She also mentioned other organizations like Positive Prince Rupert that puts together things like this from time to time.